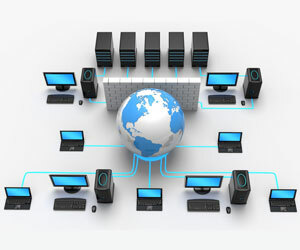 Today's mission-critical IT environments require the utmost in performance and reliability. Achieving the necessary speed, capacity, scalability and cost requires best-of-breed technology vendors and superior integration. Designing, building, configuring, securing and supporting voice, video, data, wireless networking and mobility infrastructure must be done with great care. ATSG has the skills and experience to meet all of your Infrastructure needs. Demands on network infrastructure are increasing year-by-year. Equipment can fall behind the latest technology and poor maintenance can reduce performance. A network performance assessment can identify these issues and provide options for new configurations, increased speed, more capability and improved overall performance. As your network grows and you add voice and video to your system, your network's performance will suffer. Optimum equipment configuration and the use of advanced routing and WAN technology will deliver the infrastructure performance that you need – with little impact on your costs. Performance will suffer as your network grows and you add voice and video to your system. Optimum equipment configuration and the use of advanced switching and LAN technology will deliver the infrastructure performance that you need – with little impact on your costs. As your network grows and you add voice and video to your system, its performance will suffer. Network management must include awareness and analysis of equipment status, configuration, maintenance status, documentation status, and the like. With network management under control, you will be able to predict future issues and make changes as required for best performance. Worker productivity demands mobility in the workplace. Users need wireless access to corporate applications and data, and Internet connectivity from their laptops, tablets, smart phones, and other devices. Of course, the wireless technology must be secure, scalable, tolerant of interference, high performance and easy to administer. The Internet has driven dramatic improvement in communications, performance and productivity. Internet of Things (IoT) -- when any and all devices will be connected to the Internet – is almost here. People, processes, data, and things will have network connections -- turning information into action, yielding richer experiences, and unprecedented economic opportunity for businesses and individuals.